Every year at Christmas I try to make homemade gifts instead of buying them. There are several reasons why and one is I like to make things. Whether it’s quilting, embroidering or even making useful things out of scrap wood, I find joy and a sense of accomplishment when I make something myself. I also think that giving handmade gifts is more meaningful to the recipient because you spent one of the most valuable things you have to create it: your time. Some of you may be thinking “Why are you talking about Christmas? It’s only April!”. Well that’s because even though I want to make every gift I give that never seems to happen because I run out of time. So this year I am starting my planning early. 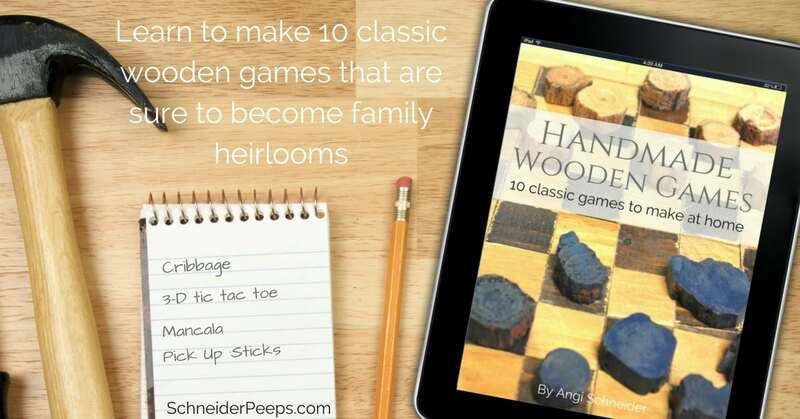 This ebook is a great resource for making handmade wooden gifts. Grab your copy today!